I’d heard a lot about the place but never been. 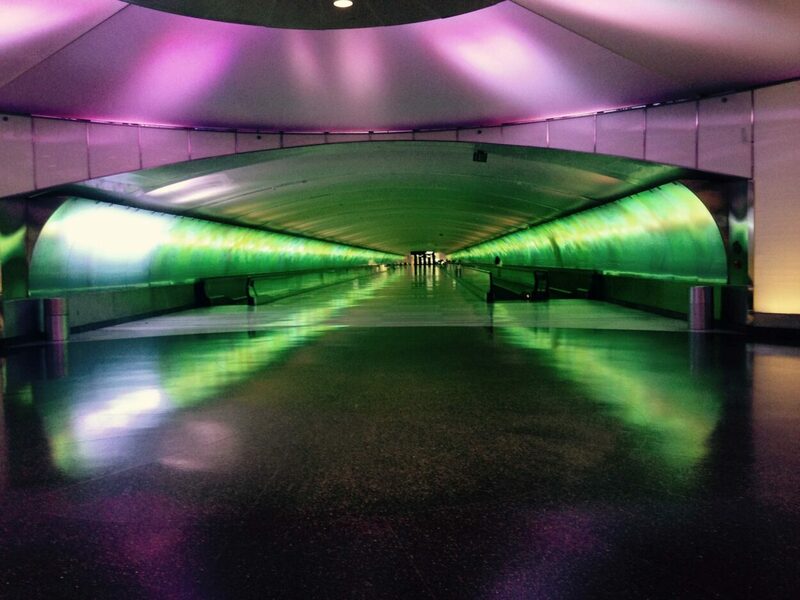 As such, this year’s July 4th weekend ended up being the perfect time to finally go into and around Detroit. First thing’s first on a national holiday weekend, and that’s entertainment. At mid-day on the Friday before Independence Day, the best entertainment around Farmington Hills, Michigan, is found at Marvin’s Marvelous Mechanical Museum. 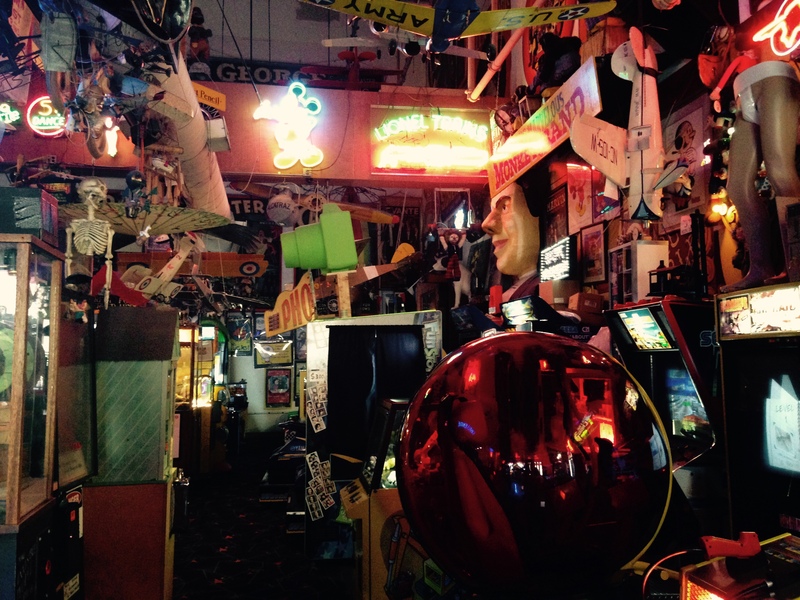 Tucked in the back part of a suburban stripmall, this hokey enclave is stocked with all sorts of coin-operated arcade games, mechanical puppet ensembles, and animatronic fortune-telling figures that have no reservations calling you dumb (or even a schmuck). Naturally, the kistch Marvin has collected and curated is superb. Belle Isle, the recreational river island park between the US and Canada, was the next destination for Independence Day eve. 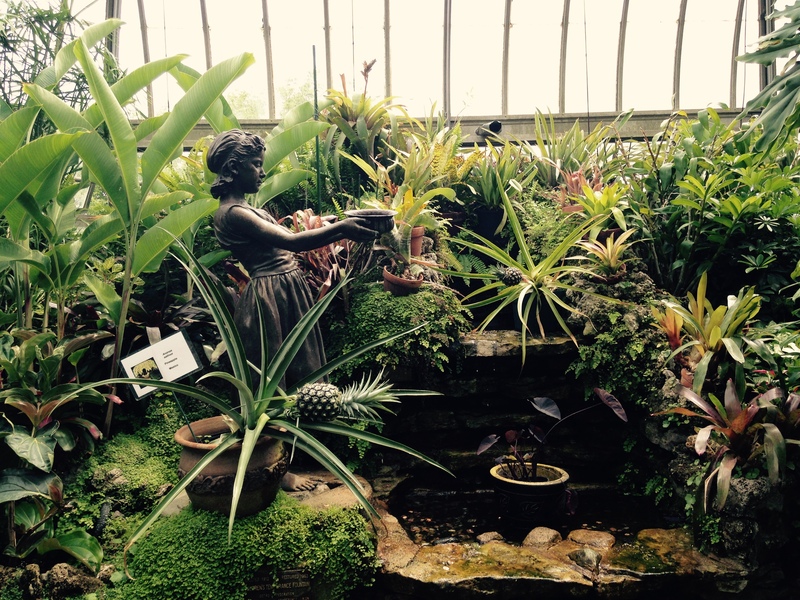 The onsite Conservatory proved largely green and leafy within its Tropical House–but also detailed in a floral manner, with orchids, and with a fruity touch, with pineapples. 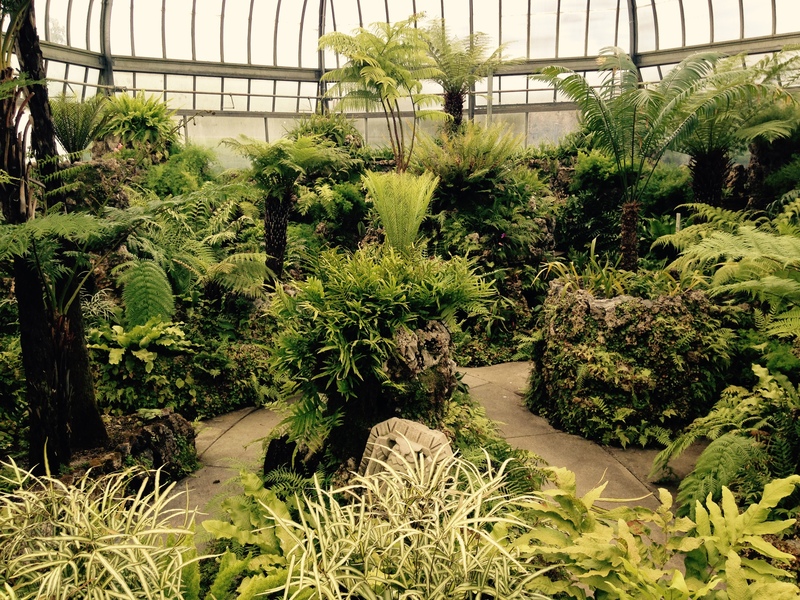 Appropriately, the Fernery section was replete with ferns, while the Cactus House was more arid in atmosphere and (often) spiky on its plants’ surfaces. 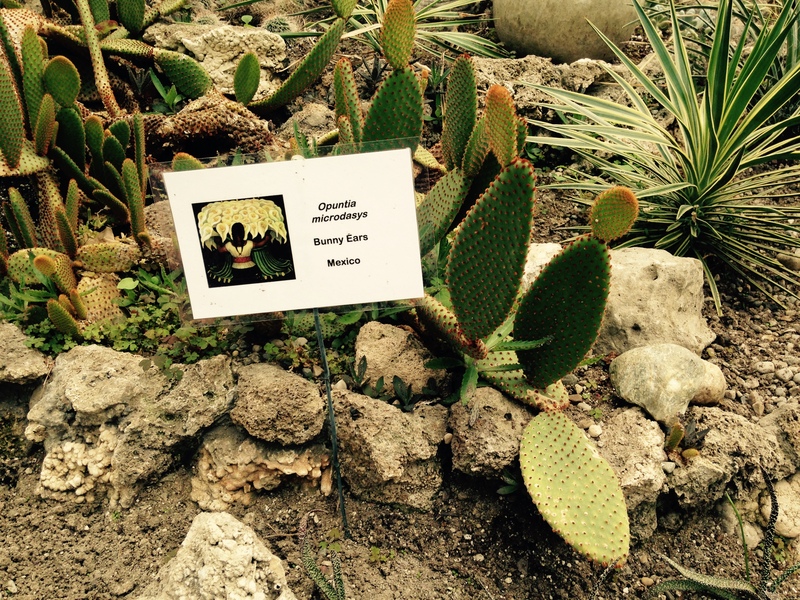 Because the Detroit Institute of Arts is currently featuring Frida Kahlo’s art, the Conservatory placed placards by select flora to indicate which plants were native to Mexico. 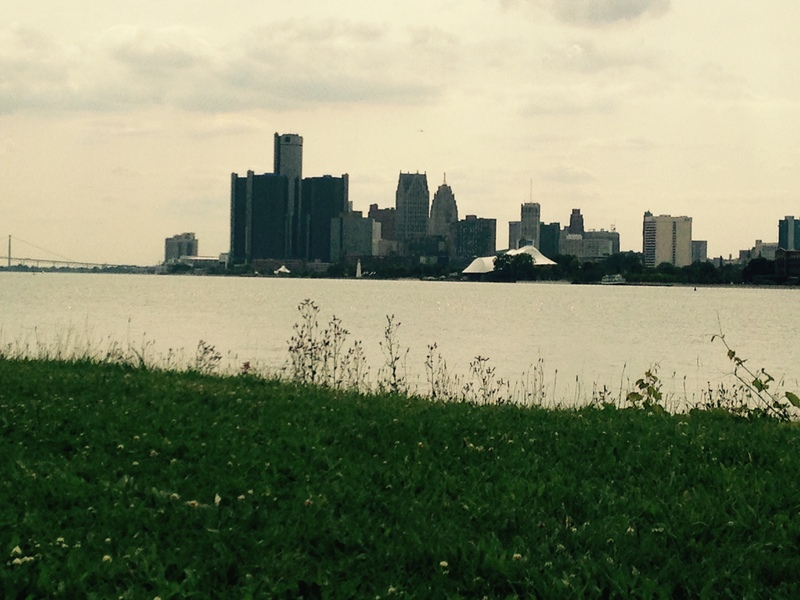 Belle Isle proved an easy-going place to tour. While there, we also visited its aquarium and nature zoo, then walked down a long dock and passed by a small beach. Additionally, the island was a pleasant vantage point to observe the urban skyscrapers. 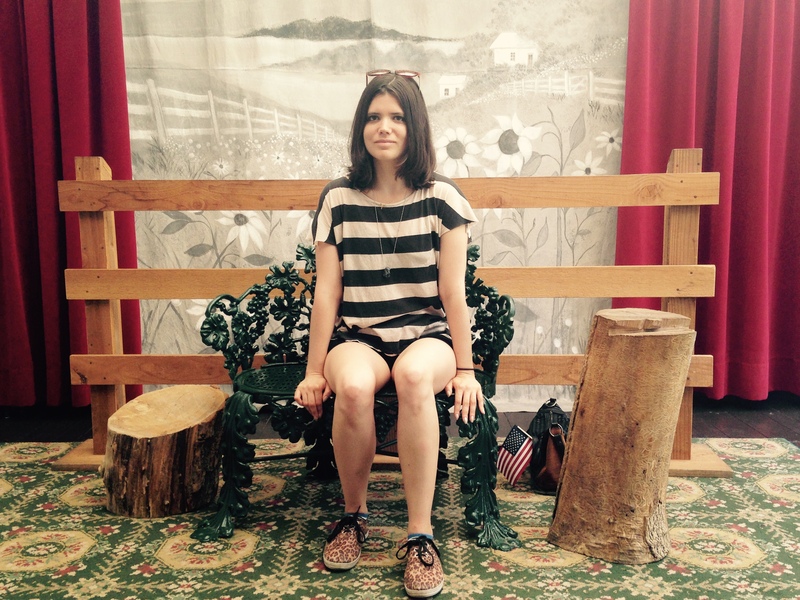 On the actual day of July 4th, we decided that Greenfield Village, an outdoor museum complex full of historical structures (many of which were collected by Henry Ford), was the best spot to pay homage to American heritage. Greenville Village hosts attractions like the house where Wright brothers grew up and the bicycle shop where they worked. 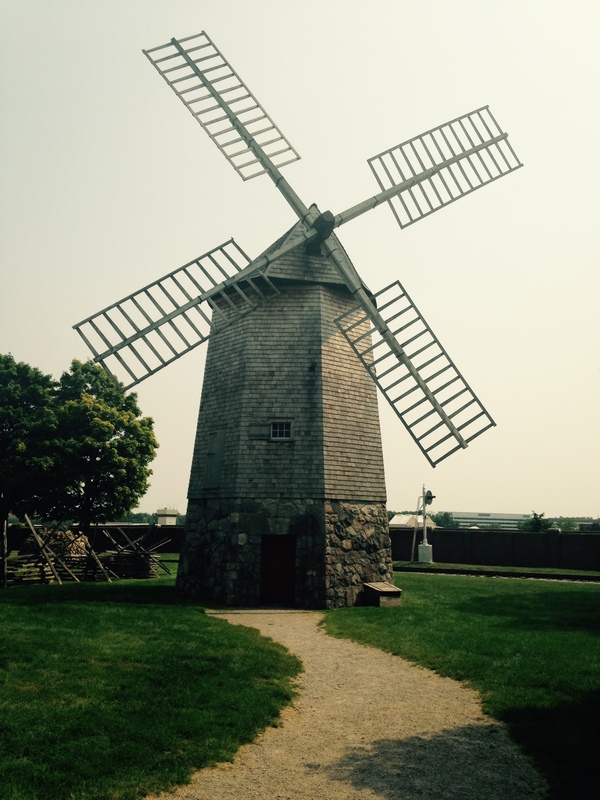 Hailing from 17th Century Cape Cod, Farris Mill, what is said to be America’s oldest windmill, now stands mightily at Greenfield Village. 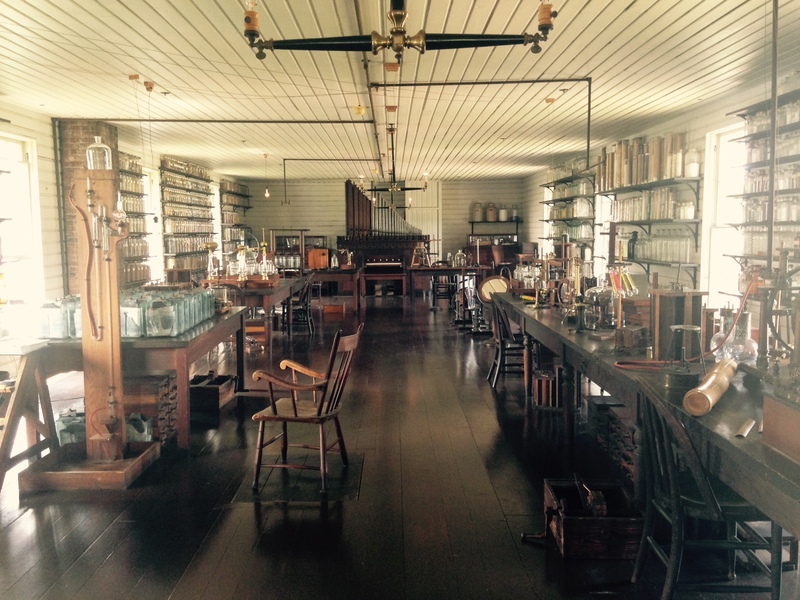 The upper level of Thomas Edison’s Menlo Park laboratory offers quite the cornucopia of jarred chemicals. Except apparently a number of scientific materials were confiscated for being unsafe several decades ago, so a decent deal of empty glass bottles remain on the shelves. The days of freely tinkering with mercury are long gone. Such was the case in Greenfield Village’s tintype studio. Tintypes were a photographic medium that were popular prior to film, and mercury was used to develop images. While the onsite darkroom is no longer functional, present-day visitors are still welcome to sit in the spot where sitters of days past sat, sunned by the ethereal rays of natural lights, to have their digital portraits instantly taken. The night of July 4th we spent cruising through town, eventually parking the car and walking to a lawn that surrounded a suburban shopping plaza’s parking lot in time to see the fireworks show. Traditions are traditions, and it’s comforting to learn that one like colorful explosives in the night sky is preserved across the different states. 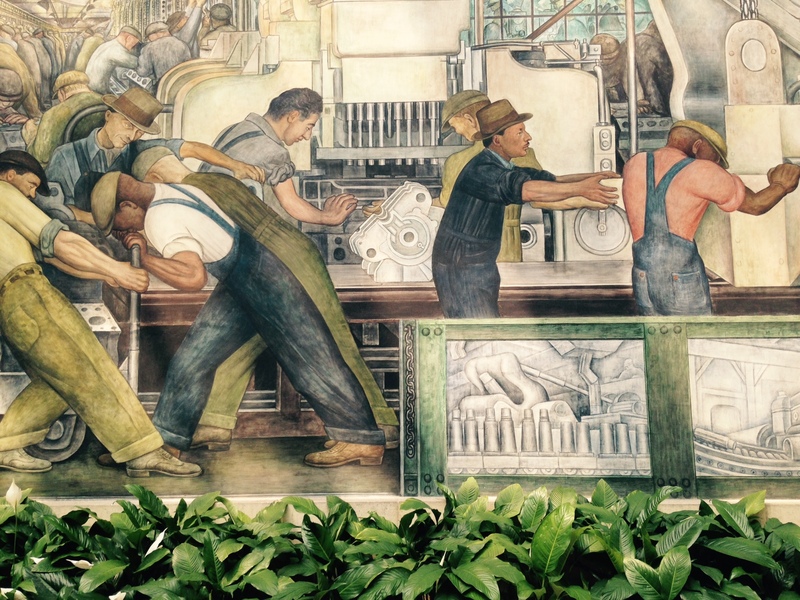 For the 5th, we visited the city’s Midtown district to go to the Detroit Institute of Arts. 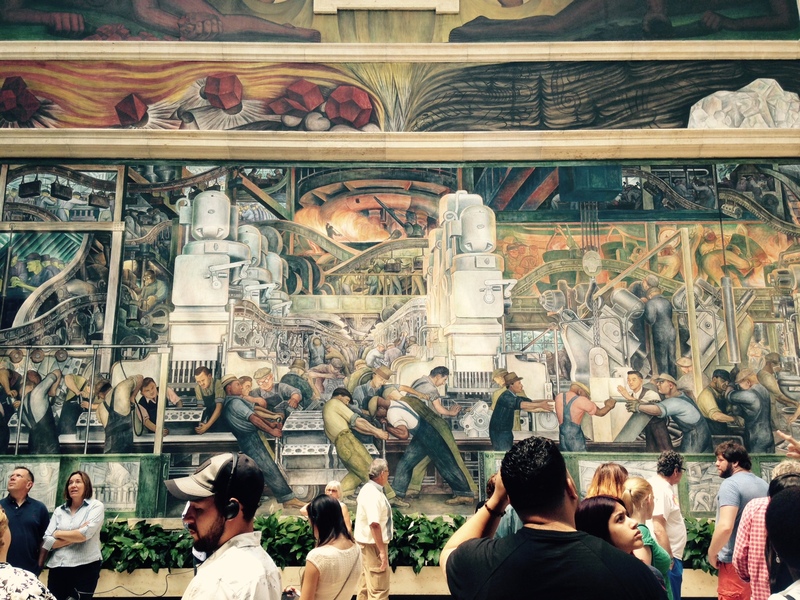 While we didn’t make the Frida Kahlo/Diego Rivera special show due to long waiting times and frightful lines, we did check out the latter artist’s permanent murals that he painted around the Rivera Court. The settings were crowded, but museum patrons could still hone in on the infinite details that comprised these massive works, be it managers’ greedy facial expressions or fiery backdrops of industrial production. From cruising across the multi-lane highway roads to walking through the preserved domestic settings of domestic inventors to sampling bits of of foreign culture, the Detroit metro area ended up being a region that was full of educational opportunities and American representation. the best times come from either low or no expectations.